Occasionally, we take a big look back to see old technology in our new context. 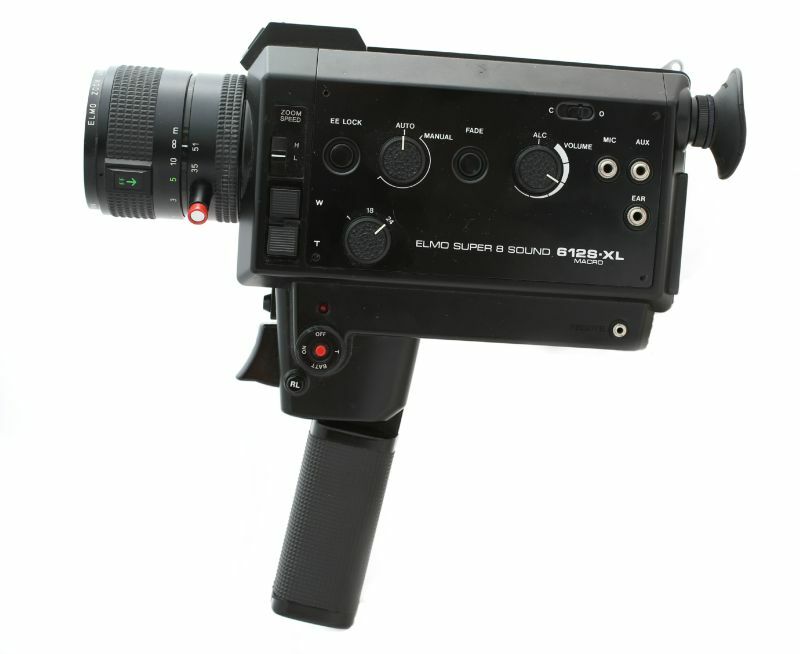 We call it “Throwback Thursday.” This week: the Elmo Super 8 Sound film camera. Meet the Elmo Super 8 Sound 612s-XL Macro. This super 8mm film camera was first released in 1978, and offered a ton of features for a consumer camera. Adjusting for inflation to today’s dollars, it would be about $3300, making it quite pricey for the average mom or dad’s home movies. Those parents today are probably buying a Canon 5D mark III, with 24-105mm f/4L lens. 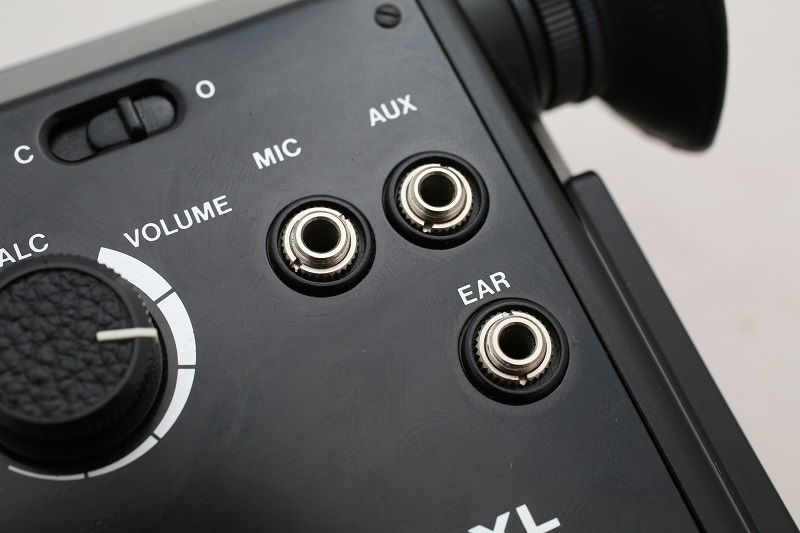 Mic and auxillary inputs, plus a headphone output. Most DSLRs didn’t get features like that until 2012. As film cameras go, it was loaded with features. Sound, of course, was the most notable. The camera, like all consumer super 8 cameras with sound, recorded audio to a magnetic strip opposite the film perforations. It also included both 18 and 24 fps shooting, a motorized servo zoom, and “good” low light performance. The f/1.2 lens made exposures possible even in interiors (assuming they are well-lit). The camera also included a tungsten/daylight switch, making it much easier to use the same film cartridge both indoors and outside. By today’s standards, the sound was terrible. It’s scratchy, noisy, and film and shutter sounds creep into every recording. The motorized zoom was loud. You definitely couldn’t sneak up on anyone with this camera. Super 8mm cartridges were much easier to load than 16mm reels, because the cartridge kept sunlight from exposing the film during the loading process. 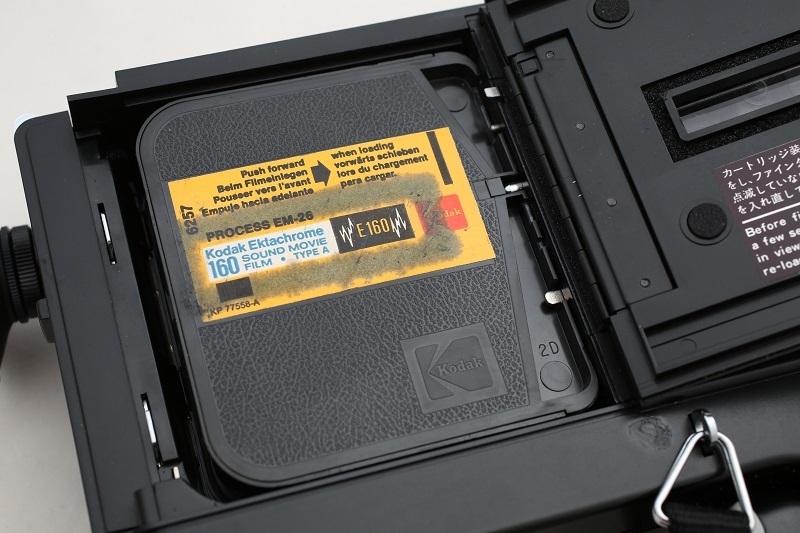 Super 8mm film exposes an area about 7.5mm diagonal, making it most comparable to 1/2″ sensors (like found in a modern Sony EX3 camera, for example). The 4:3 aspect ratio is similar to standard definition cameras, and the ability to resolve detail is above any standard definition camera ever made. It would be nearly two decades before video could compete with the quality of super 8mm film (assuming it was exposed, processed, and stored carefully). With apertures as wide as f/1.2, focus required a bit of effort. Autofocus wouldn’t become popular in still cameras for a few years, and many more advancements would be needed before autofocus for moving pictures was a reality. Auto exposure, however, was old news, and this super 8 camera was designed to use autoexposure full-time. This Elmo 612S-XL was released as the baby brother to the 1012s-XL. The camera with magazine weighed about 3.5 pounds, half a pound lighter than the 1012S. This is about double what most high-end consumer camcorders weigh today, and in-line with most professional broadcast HD and 4K cameras. Anyone in Milwaukee looking to check out the Elmo 612-S XL is welcome to see the working model in our antique camera collection. The camera is retired from service, and not available to rent.